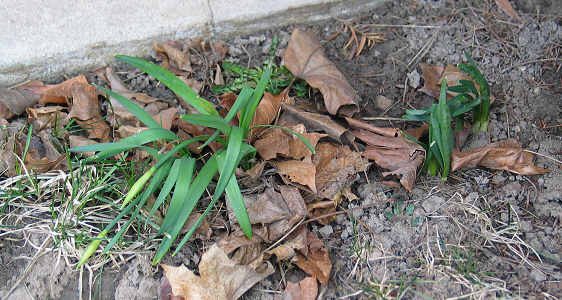 Daffodil sprouts discovered on February 28, 2004. I could believe how big they were already and that I hadn't noticed them earlier! Look how big they got in a week's time! Wowza! Picture taken 3-6-04! The buds are showing more yellow color. I don't think they are that far from blooming now! yay! 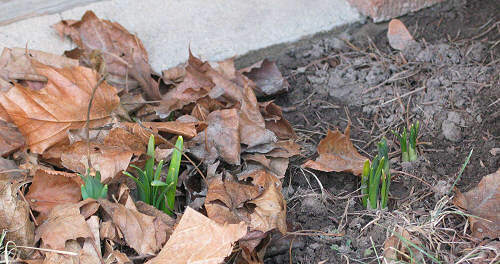 Also, around the corner from these, I have all kinds of grape hyacinths and tulips starting to grow, too! I can't wait! 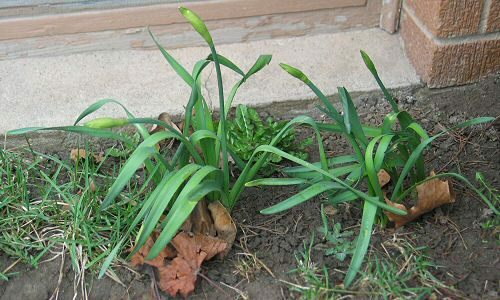 3-27-04: The daffodils have gotten taller, but still aren't blooming yet. 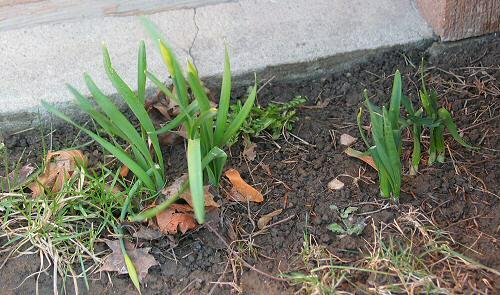 All over our neighborhood, I see daffodils getting taller, but not blooming yet. Hopefully soon! 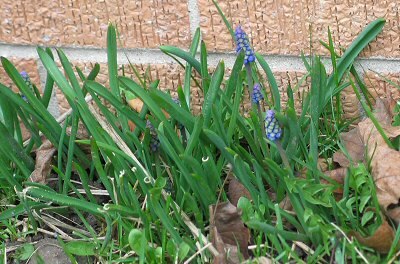 3-27-04: The grape hyacinths are starting to bloom. I have tons more that are growing. Ignore the dandelions you see growing there. They are just way too healthy looking! LOL!